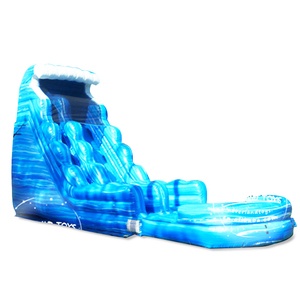 Inflatable slides are those slides that can be used in both wet and dry situation. Please note that the manufacturer's recommendations lean toward being on the safe side. The Sealed items is processed by heat welding technology and only need one time blow up. We adopt imported equipment and employ skilled work force and talented designers that is capable to produce customized designs from any of your drawings. Our advantage: 1) We are factory with large production line, 10 years experience, professional employees and effective management, main market USA,Canada,Europe. 5) Good service & reputation Contact person Thanks for viewing, for any enquiries please do not hesistate to contact us. Reinforcement Belt : Double to fourfold stitches to make sure product firm and extend use life span. 2 . Wind ring : The metal ring sited at the bottom of inflatable products to fix product, stop swing. 3 . All our packages are firm and tidy, strong enough to long distance transport. 2.Best quality of PVC tarpaulin or oxford which is water-proof and fire retardant, also environmental and safe. 0.6mm and 0.9mm , this set of water park is airtight system , we usually use 0.9mm in thickness , best quality . 3. If the weight of products are less than 60KG, we suggest the express will be better. Reinforcement Belt: Double to fourfold stitches to make sure product firm and extend use life span. 2 . Wind ring : The metal ring sited at the bottom of inflatable products to fix product, stop swing. 3 . Professional printing machine: 6 color HD printing, imported oil ink with bright color, stable and accurate. It is fast and easy to install, inflate and dee and defland deflate. We TEST each product for 3 days before delivery to ensure the pool to be sealed perfectly. 2). Material: Best PVC coated vinyl or tarpaulin as per request 3). We promise to refund the sample charge after your bulk order. 3. May I have my own logo or design for the products9 -- Of course. 6. Items in stock9 -- Ocassionally, we donot have stock for all products. 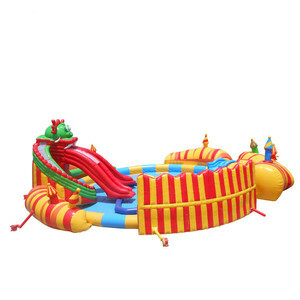 Alibaba.com offers 16,811 inflatable water slides and pool products. 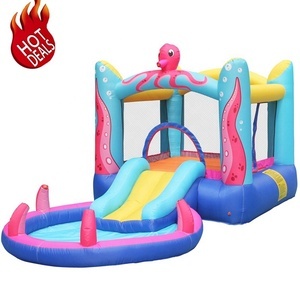 About 51% of these are inflatable bouncer, 27% are slides, and 14% are water play equipment. 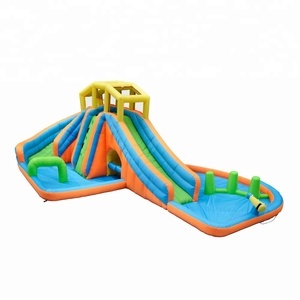 A wide variety of inflatable water slides and pool options are available to you, such as pvc, vinyl. You can also choose from free samples, paid samples. 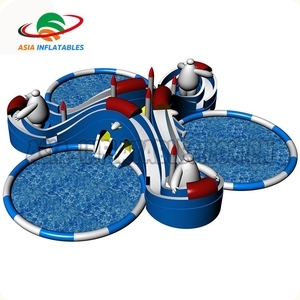 There are 16,811 inflatable water slides and pool suppliers, mainly located in Asia. 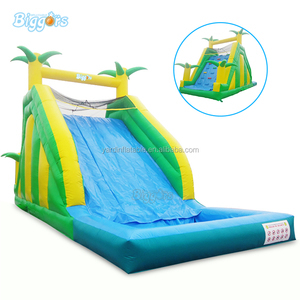 The top supplying countries are China (Mainland), Turkey, and Germany, which supply 99%, 1%, and 1% of inflatable water slides and pool respectively. 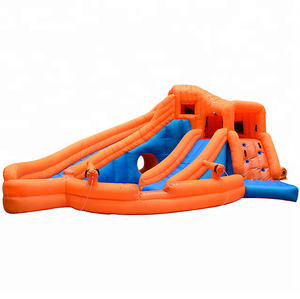 Inflatable water slides and pool products are most popular in North America, Western Europe, and Mid East. You can ensure product safety by selecting from certified suppliers, including 1,261 with Other, 1,142 with ISO9001, and 376 with ISO14001 certification.